Pradaxa, a new-generation blood thinner marketed by Boehringer Ingelheim, was touted as an improvement over warfarin when it was approved by the U.S. Food & Drug Administration (FDA) in October 2010. However, for several years there was no antidote available to reverse internal bleeding that can sometimes occur with its use. Bernstein Liebhard LLP is offering free legal reviews to individuals who may have experienced episodes of uncontrollable bleeding and related complications due to Pradaxa. To learn more about your legal rights, please contact our Firm by calling (888) 994-5118 to schedule a free, no-obligation case review. Pradaxa (dabigatran) belongs to a new class of blood thinners called direct thrombin inhibitors. These drugs work by blocking the action of thrombin, an enzyme involved in blood clotting. Pradaxa was initially approved to prevent strokes in patient suffering from atrial fibrillation, a heart rhythm disorder. It has since been cleared to treat deep vein thrombosis and pulmonary embolism, and to prevent these dangerous blood clots in patients undergoing hip and knee implant surgery. Once the drug came to market, Boehringer Ingelheim promoted Pradaxa by highlighting its purported superiority to warfarin. Among other things, the company’s marketing materials pointed out that Pradaxa patients did not need to endure the same dietary restrictions or regular blood monitoring experienced by those using warfarin. In 2011 alone, Boehringer Ingelheim had spent $464 million to market Pradaxa. By the first quarter of 2012, worldwide sales reached $209 million. Until recently, there was no way to reverse Pradaxa’s anticoagulant effects should internal bleeding occur. By contrast, bleeding associated with warfarin can be reversed via the administration of vitamin K.
In October 2015, the FDA granted accelerated approval to Praxbind (idarucizumab) for use in emergency situations when there is a need to reverse Pradaxa’s blood-thinning effects. Thousands of people have filed Pradaxa lawsuit after allegedly experiencing episodes of uncontrollable internal bleeding due to their use of the blood thinner. Among other thing, plaintiff accused the drug’s manufacturer of wrongly marketing Pradaxa as an improvement over warfarin. They also alleged that Boehringer Ingelheim had failed to provide proper warnings regarding the lack of an antidote for Pradaxa’s bleeding side effects. 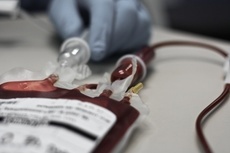 In May 2014, Boehringer Ingelheim announced that it had agreed to pay $650 million to settle thousands of Pradaxa bleeding claims pending in courts around the U.S.